The 19th century humorist, Josh Billings, once said "A dog is the only thing on earth that loves you more than he loves himself." How true. 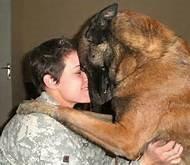 There are so many great books written and movies produced over the years about wonderful, heroic dogs. 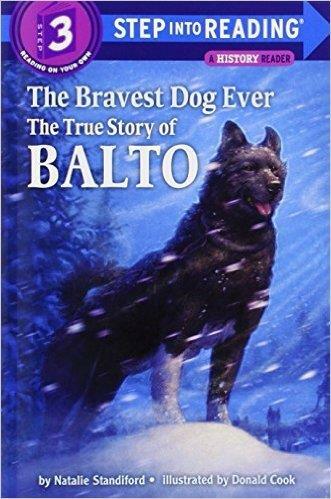 Remember "The Bravest Dog Ever: The True Story of BALTO" by Natalie Standiford and her illustrator, Donald Cook, based on an event that occurred back in 1925? Up in the northern Alaska wilderness there was an outbreak of diphtheria. The nearest medicine was in Anchorage, some 800 miles away, and a train carrying this precious cargo became buried in heavy snow. It was 30 degrees below zero, and the state was being hit by one of the worst storms ever. The sick little ones undoubtedly would not survive. What to do? The answer was Balto, a sled dog who led his team through that snow and ice over 53 miles of treacherous terrain to deliver the life-saving drug. Children of all ages read about the drama and dreamed of having a dog like Balto. redeemed himself, though, when he performed the amazing feat of saving Arliss's life as he was about to be attacked by a bear. 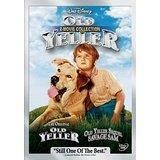 After that the dog, "Old Yeller" and the older brother, Travis, became inseparable. Author Fred Gipson brilliantly described how a dog will do anything to protect "his family." The story was so compelling that Walt Disney created a movie version that delighted young and old for years to come. Another author who created a bestselling series of thrillers about a man and his dog is Robert Crais who writes about an LAPD officer, Scott James, and his K-9 partner, Maggie, a German Shepherd who did several tours in Afghanistan and remains a partner in cases back in the states. It looks like all kinds of pets enjoy those books. won't bark when confronted with small arms fire or exploding shells, but remain completely silent so they don't reveal their troop's position to the enemy. These terrific dogs learn to perform sentry duty, sniff out mines and bombs, and even jump in tandem with their Air Force handlers. Then there are the little ones. Charles Schulz was quoted as saying, "Happiness is a warm puppy." And did I ever find that out when we acquired out little "Gambit" (the title of my second novel). This loveable little guy has captured our hearts for the year and a half since we brought him home. Watching him grow as an integral part of our family and yes, acting as our "protector" as well as devoted companion, gave me the inspiration to create a unique puppy "character" in my new novel, Affairs of the Candidate, which I have not finished yet (but I'll let you know when it's out). I also feature him as the "star" in a children's picture book I just wrote about young twins living in The White House who get a new puppy for their birthday, one who promptly gets into all kinds of trouble roaming around the State Dining Room, the West Wing and the Oval office. This is just a light-hearted attempt to introduce little ones to the intriguing and historic home of our First Family. In a post here a few days ago, my colleague, the great writer Gayle Lynds, wrote about her wonderful dog and a "diet" of bananas and peanut butter. I discovered that Gambit loves those tastes as well. In fact, here's a recipe for all you dog lovers to give your pet as a treat: Mix those two ingredients together with a bit of plain non-fat yogurt. Put a spoonful into tiny dishes (or Dixie cups) -- stick a "Milk Bone" in the center and freeze them. Now you have "Pup-sicles." And wouldn't you say that our "Loveable Heroes" deserve such a reward once in a while? Now please leave a comment and tell us about your favorite pet and how it has changed your life! Karna, a wonderful list of books, although i will disagree with you on one point. I wasn't delighted by Ol' Yellar - I was traumatized and remained so for years. A great post otherwise. What a wonderful post, Karna. And Gambit is adorable. It's true for us, too, that watching a pet grow up and become integral to the family is true joy, and then for us authors to incorporate him or her into a novel is so much fun. He's a lucky doggy! I'm so glad you have Gambit in your life. What a terrific name for a pal! ANd thanks for the recipe--I have three terriers just drooling for a batch! S. Lee, Gayle and Francine - thanks for taking the time to comment here -- there are SO many reasons to have a pet in our lives....I just read today that an additional reason (besides love and companionship)is that having a dog around the house enhances everyone's ability to build up immunities. Interesting! Karna, Gambit is sooo cute. How big is he now? Giant is my guess. The reminiscence about canines made me think of Rin Tin Tin and Lassie -- movie and TV versions of heroic dogs and their boys. Funny, it seems more often boys had dogs and girls had horses. Stereotypes?